Vidyut Jammwal recently won hearts for his latest film Junglee. The movie was a big hit among the younger fans and spread across through the word-of-mouth. Now, the actor has been roped for a romantic action thriller titled Khuda Hafiz, under the banner of Kumar Mangat Pathak and Abhishek Pathak. Helmed by Faruk Kabir, the film is based on real-life incidents. 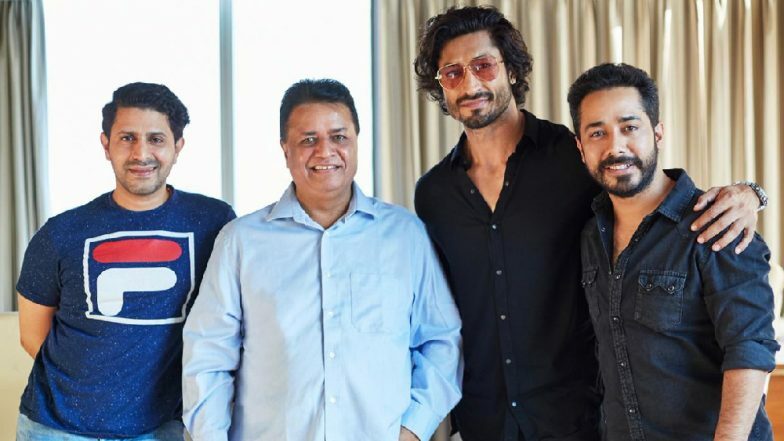 Khuda Hafiz is slated for an early 2020 release, while the shooting for the project will commence in July this year. Junglee Box Office Collection Day 1: Vidyut Jammwal's Film Fares Decently in Mass Pockets, Mints Rs 3.35 Crore. The movie will be shot in Morocco and Kerala. While the lead protagonist has been confirmed, the makers are yet to confirm the female lead opposite Vidyut. The makers have roped global experts to choreograph the action sequences and we cannot wait to watch Vidyut back in his action. Junglee Movie Review: Vidyut Jammwal Tries too Hard to Save This Average Jungle Drama.